UPDATE at 8:30 PM | ONE man has been stabbed and another injured in a violent rampage outside a shopping centre on the Gold Coast, police have confirmed. 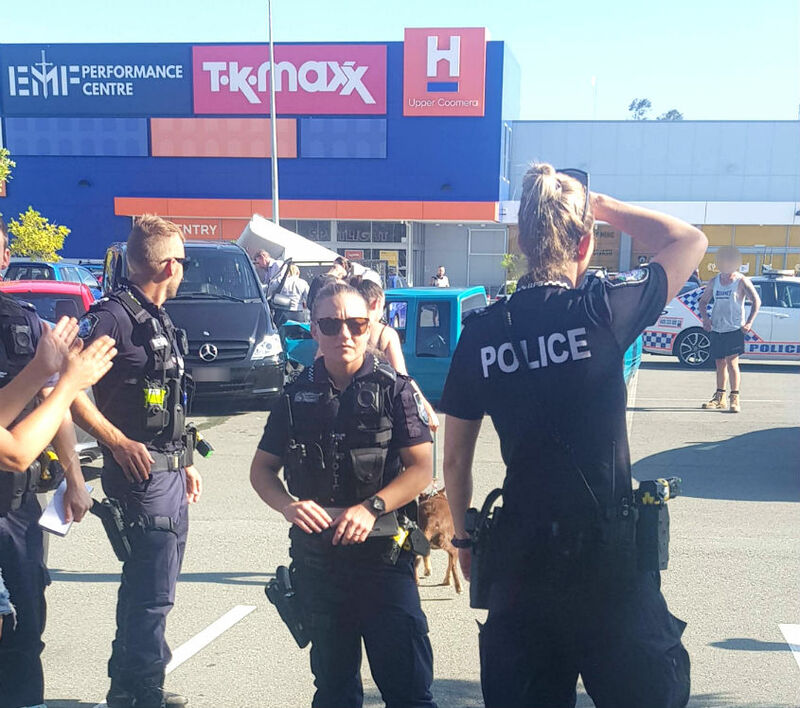 Two men have now been charged over the violent scenes that unfolded in front of horrified shoppers outside the Home Consortium Shopping Centre in Upper Coomera about 3pm on Saturday. 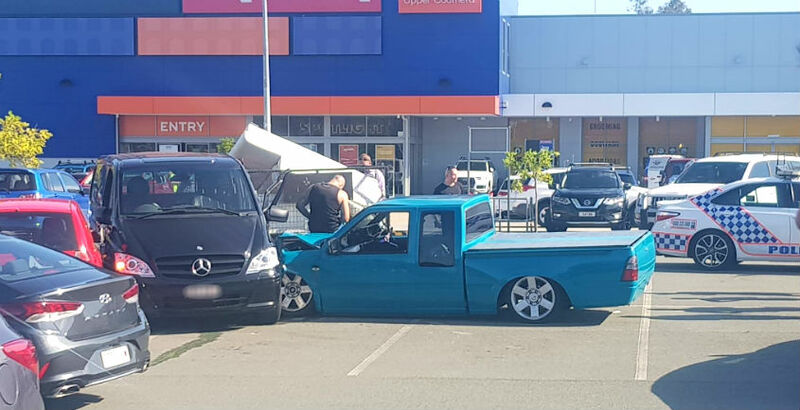 It’s alleged three men in a black Mercedes van became involved in a heated argument with the occupants of a Turquoise utility in the car park before the driver of the ute rammed the van. 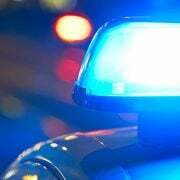 In a statement on Saturday night, Queensland Police said a passenger of the van then allegedly got out and stabbed the passenger of the ute in the upper arm. “The driver of the utility allegedly drove away then returned and deliberately collided with the van containing three men,” police said in the statement. A man aged in his 20s, believed to be a passenger of the van, was pinned in the vehicle by the ute. A Queensland Ambulance spokesman told myGC paramedics treated the man for “lower limb injuries”. 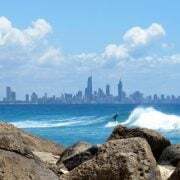 He was transported to the Gold Coast University Hospital in a stable condition. Police said the man who was stabbed fled the scene before they arrived. He turned up at the Gold Coast University Hospital a short time later seeking treatment, police said. Two men, a 19-year-old from Coomera and a 33-year-old from Upper Coomera, have been charged over the incident. The younger man has been charged with wounding and going armed so as to cause fear, while the older man is charged with dangerous operation of a vehicle. Both are due to appear in Southport Magistrates Court on Monday. The incident triggered a massive police response, with scores of uniformed and plain-clothed police swooping on the popular shopping centre. In a statement, Detective Inspector Brendan Smith said there were no concerns for the public. “Both men are known to each other with police investigating the circumstances surrounding the dispute,” he said. Anyone who witnessed the incident and has not yet spoken with police is urged to come forward and call Policelink. 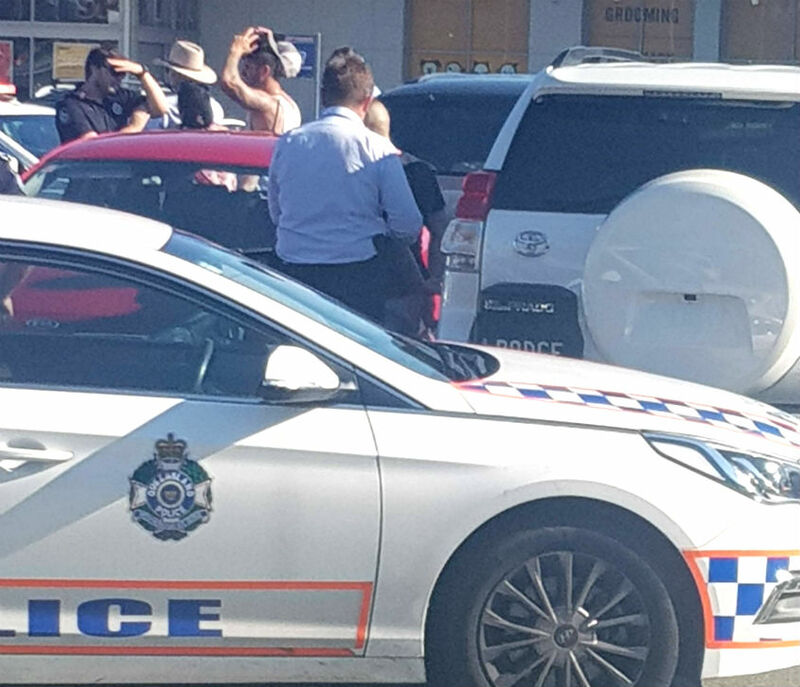 FIRST 4:00 PM | POLICE have swooped on a shopping centre on the Gold Coast amid reports of a stabbing. 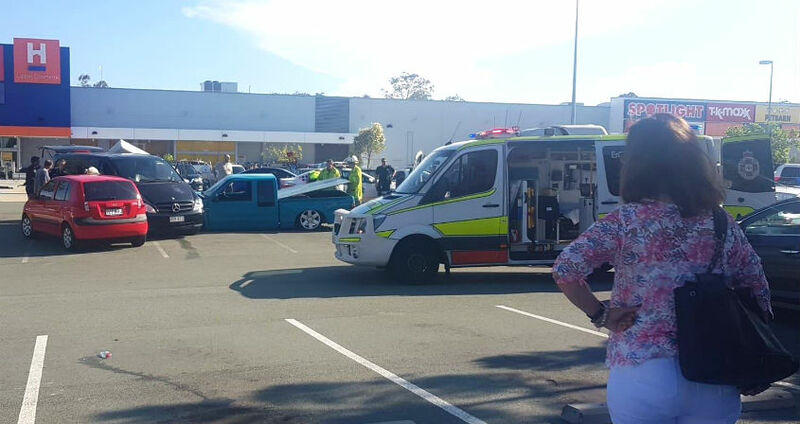 A violent altercation erupted outside the Home Consortium Shopping Centre in Upper Coomera about 3pm. The exact circumstances surrounding the incident are not yet clear. Speaking to myGC, a Queensland Police spokeswoman said police were initially called to reports of a stabbing following a “heated argument” involving “several people”. But when officers arrived, they found a man pinned between two vehicles. “There appears to have been incident between two vehicles in the car park”, the spokeswoman said. Photos obtained by myGC show a turquoise utility rammed into the side of a black Mercedes van. A Queensland Ambulance spokesman told myGC a man in his 20s was “entrapped” between the two vehicles. 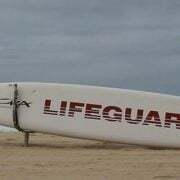 He was treated by critical care paramedics at the scene before being transported to the Gold Coast University Hospital in a stable condition. One person was reportedly seen wielding a knife during the confrontation. “There are reports one person was wielding a knife around and may have threatened another person with it, but we’ve so far been unable to confirm whether anyone has actually been stabbed,” the police spokeswoman said. Police are still on the scene, speaking with witnesses as they try to ascertain exactly what happened. Witnesses have told myGC they saw a man being taken into custody at the scene.